I’ve been a bowhunter for some time now. Each hunting season brings excitement and optimism for yet another chance at bagging that prized elk. But instead of reaching for my trusty bow, this year I opted for a crossbow — and I got the elk. 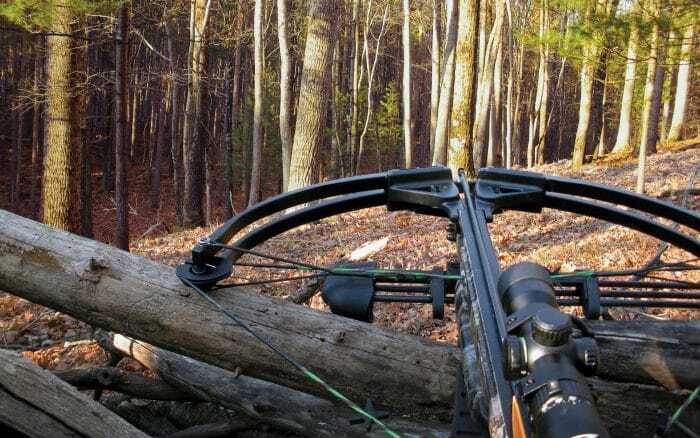 While there’s been some controversy over the years as far as using crossbows for hunting, the fact remains that it’s a modernized type of bow and arrow. Whether you use one for target practice or solely as your hunting weapon, the choice is yours. The invention of the crossbow dates back to the year 6 BC, where it was initially used as a war weapon. Nowadays the bow and arrow are even used for gaming and entertainment, such as the latest craze in a type of laser tag known as archery attack. The crossbow was used in all areas of the ancient world and continues to be a popular weapon and hunting tool for hunters looking to add a more challenging element to their hunting game. The invention of the crossbow weaponized a tool initially used for hunting and aided warriors on the battlefield. The modern crossbow shoots projectiles called bolts and are much shorter than traditional arrows. Today, bolts and quarrels are stamped to ensure a consistent weight, providing the most accurate and predictable action while firing the weapon. The firing mechanism of the crossbow entails pulling a lever back at which point the bow is fixed and ready to fire. Extremely accurate with a much longer range than traditional bow and arrows, the crossbow can reach up to 360 meters. And with practice, the beginner crossbow shooter will be able to shoot accurately to 30 or 40 yards. Crossbows have traditionally been used for hunting and warfare. Today the crossbow is used for hunting, target shooting and other shooting competitions. While crossbows are still used by some modern military personnel, they’re not used in a weapons capacity. In the Chinese military, the crossbow is used in place of a firearm to stop suspects of carrying bombs or other explosive materials. 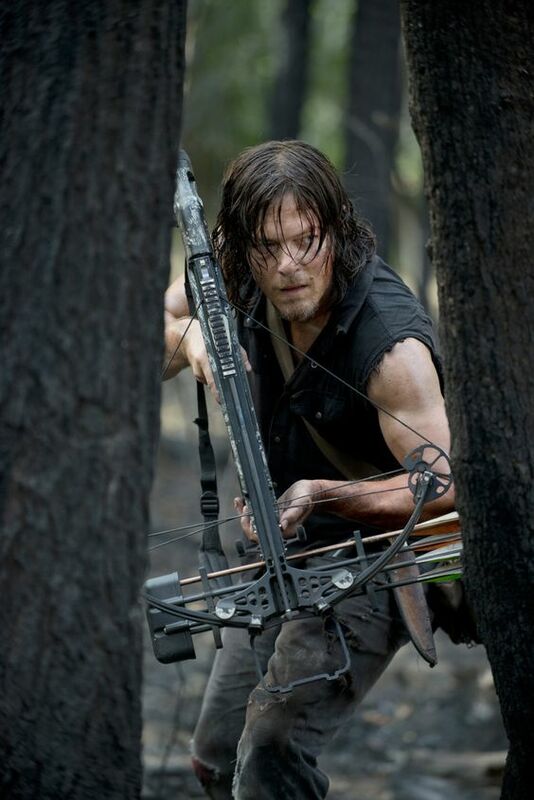 During the past few years, the crossbow has seen a following in popular culture. From television shows such as The Walking Dead and the Avengers series, (the character “Hawkeye” actually uses a Hoyt Bow!) the popularity of the crossbow is holding steady at the top and shows no signs of backing down. Crossbows are available in two-handed models and one-handed “pistol” models. Two handed crossbows are the most common by far and are appropriate for the widest variety of situations such as hunting, fishing, scientific sample-collecting, target shooting, and even military use. They are generally the most powerful and accurate variation, their aiming is familiar to most, and their handling and operation are easily learned. Although less common, one-handed crossbows are popular for specialized purposes such as target shooting, small game hunting, and even self-defense. They generally lack the power and accuracy of two-handed versions, but are lighter, more compact, easier to use, and less expensive. 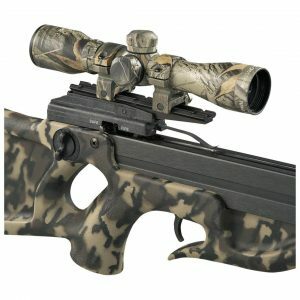 To make your crossbow experience even better, a good scope is definitely what you need. There’s simply no denying the effect of a great scope on the accuracy of a crossbow. Besides allowing you to dial in your aim, a scope can adjust the arc and give you a larger sight area. I’ve met some hunters who will argue that a crossbow is only as good as its scope. Well guess what? They’re absolutely right. 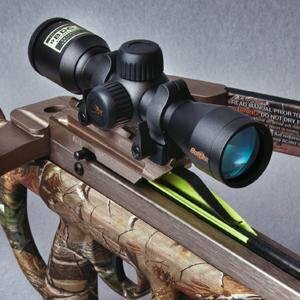 A crossbow scope should be a high priority on your list of upgrades to your crossbow kit. 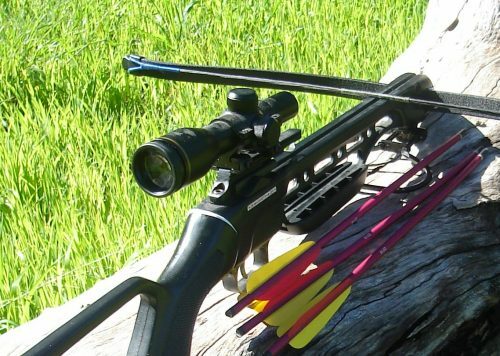 Most crossbows come supplied with a scope that is OK to start out with and even use for target practice, but it’s best that you upgrade the scope for one with better clarity and multiple reticles when you can afford to. You’ll be happy you did. With a vast array of scopes on the market today, it’s important to differentiate between the optic scope and the red dot. A red dot scope is generally smaller than an optical scope, requires a battery, and transmits a simple light reticle into the scope. Optic sights offer magnification and clarity over distance and are often seen on hunting rifles. 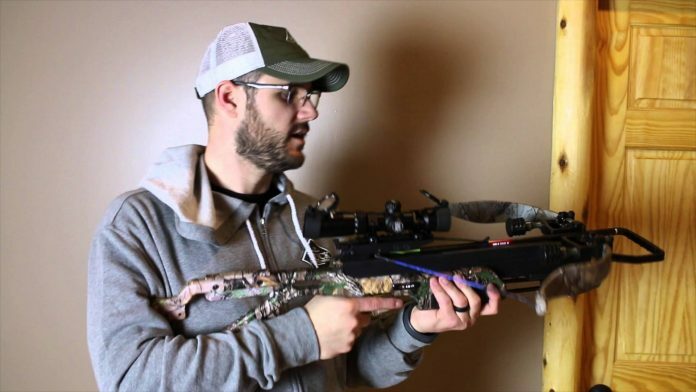 So what’s the difference between rifle and crossbow scopes? A crossbow scope will have multiple reticles so you can track the arc of an arrow based on yards or meters. This helpful feature makes crossbow-specific scopes a necessary purchase instead of a rifle scope. Excellent quality at a middle-range price make this offering from Nikon one of the best rated crossbow scopes on the market. The Nikon Bolt XR crossbow scope offers a lightweight design that easily mounts in weaver rings and allows quick adjustments and precise accuracy. With a waterproof, fog proof and shockproof eyepiece, the Nikon Bolt has a super quick focus. With three to 32 times magnification and a 32mm lens, the Nikon company claims that the scope transmits 92% of available light so there is superior brightness and contrast. The Nikon Bolt XR is easily adjustable thanks to the “zero-reset turrets” which allow you to focus in at 20 yards and quickly adjust with knob rotation. Outstanding accuracy is also met at medium to long distances, so much so that the company hosts a “60-yard challenge” of accuracy. Ease of use, a quick and clear sight picture and spot-on accuracy is what makes the Bolt XR a top rated crossbow scope. Besides offering you three times magnification, allowing you to zero in on your target from up to 60 yards away, the BDC 60 reticle also provides precise aiming points to 60 yards. As far as non-illuminated scopes go, the Nikon is the best in this category. Poor weather conditions are not an issue as the fog proof and weatherproof design has you covered. The scope is also shockproof and has awesome zero-reset turret adjustments to make it simple to remember your sight-in-point. Overall, the Nikon Bolt XR is an excellent crossbow scope. With fantastic light-gathering capabilities, it also features clear, crisp, fog proof optics — it really has it all. This one will be with you for years to come. It’s a gem. 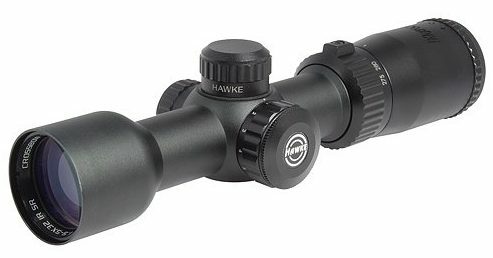 If you’re in the market for a scope with an illuminated reticle, this crossbow scope from Hawke is also one of the best out there. Selling for less than $200, the Hawke scope may be more expensive than the Nikon, but for this price, you’ll gain battery-powered illumination — perfect for anyone who wants to use their crossbow over a long time span. With a red and green lighted reticle, the aim points every 10 yards from 20 to 100 yards — meaning the scope can be sighted in at 20 yards and then fired to 100 yards without the hassle of adjusting the sight. The Hawke SR Scope features a speed selector which allows it to be partnered to any bow from 275 FPS (feet per second) to 425 FPS. Its versatile and durable design makes it a favorite among bowhunters. Designed to withstand harsh weather, it can survive occasional bumps and drops. 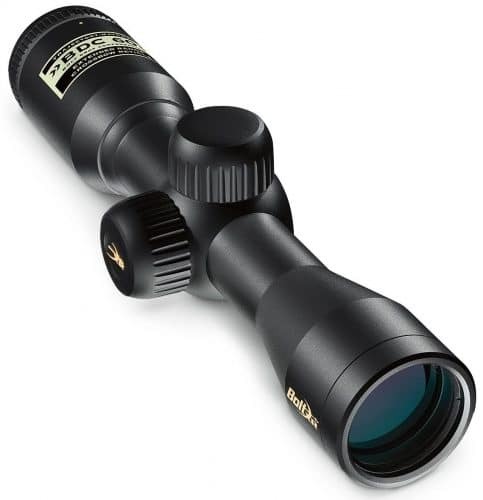 This handy scope is so weather resistant, you can easily see targets even when it is raining or snowing. And furthermore, what’s unique about this scope is its ability to couple with your fastest crossbow to hit almost any moving target. Another versatile perk is this scope’s ability to be used for night hunting thanks to the illuminated markers on its reticle. For some, this scope is priced slightly higher. But just wait until they use if for the first time! Serious hunters alike will find that it is well worth the extra dollars when they haul off their first buck of the season. With powerful multi-coated one inch optics for crisp images, details will be so clear that you’ll know exactly where to aim. User friendly just like the Nikon Bolt, the SR scope from Hawke is also designed for convenience of use. Easily adjustable speed settings and the magnification will automatically change to match new preferences. And yes, it does come with a steeper price tag, but the powerful optics will ensure you can clearly see your targets up to 100 yards. Plus the Hawke SR’s ability to match crossbows with arrow speeds up to 425 feet per second means you may never miss a shot again! Excalibur is one of the few crossbow manufacturers that make high-quality scopes. The Tact-Zone Illuminated offers 2.5 times to 6 times magnification, plus a velocity knob to dial the scope into your crossbow speed before you zero it in. The Tact Zone has fully multi coated optics — great for light transmission, and it’s waterproof and fogproof as well. With an exceptional field of view at 45 feet from 100 yards at 2.5 times magnification, the ultra-compact Tact-Zone scope is the ideal match for Excalibur’s compact Matrix and Micro series of crossbows. Complete with features including a new updated reticle design, the Tact Zone features a 30mm tube, dual color illumination and a multi coated lens for crystal clear clarity. 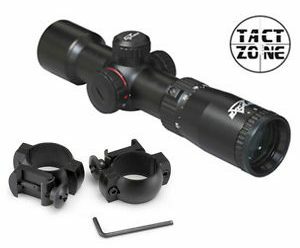 The Tact Zone scope is adjustable for speeds between 275 FPS and 410 FPS and features half-inch click adjustments at 20 yards for super easy zeroing in. 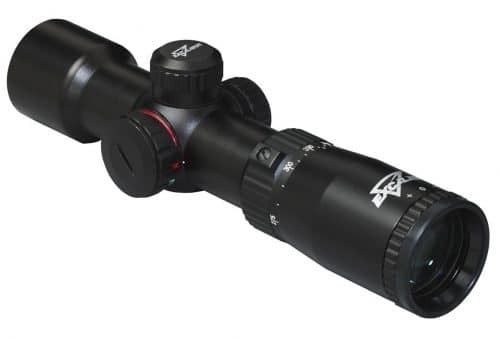 The Excalibur Tact Zone Illuminated scope is the perfect upgrade scope for any crossbow. It will truly be the difference between night and day on your next hunting trip. The Truglo Crossbow Scope 4×32 is one of the best archery scopes on the market that delivers 4 times magnification. It’s really frustrating when you’re out hunting, you see your target and your scope doesn’t show you a clear image of said target. But not to worry with the Truglo. It’s one of the best crossbow scopes that will show you a clear and crisp picture of your target while having a field view of 100 yards. The Truglo Crossbow Scope comes with 4-inch eye-relief, which is great. Measuring at 8 inches long and made of high quality aluminum, the Truglo Crossbow Scope also offers high quality optics that are completely coated. The result is a crossbow scope that is exceptionally fog proof and waterproof and you can use it harsh conditions without any reservations. Whether you choose the Nikon, the Hawke or any other fine scope in this review, you’re guaranteed to find one that meets your needs. Remember, a good crossbow scope should be reliable and durable, have high quality optics and lens, and should be able to deliver a clear and very concise image of your target. But before you attempt to purchase a crossbow scope, you should begin by reading your local state’s regulations manual. There are specific rules and regulations for both archery hunters and crossbow hunters. In addition, there may be some overlapping rules in states that allow crossbows during archery season. Always make sure to think about who is hunting (beginner, younger, intermediate, expert) and what is being hunted before committing to a crossbow scope purchase. Finally, a word to the wise — always give a few crossbows a try before you buy, get a feel for all different types and then make your decision. Good luck! Alex Joseph is an avid bow hunter and father of two boys. Originally from Tacoma, Washington. Alex now resides in California. Gun News Daily is the longest running gun news website in the US. Since 2001, we have provided the latest in gun rights news, tech reviews and product information. YES, SEND ME THE COUPONS! NO, I LIKE PAYING MORE. Get exclusive discounts. Just for GND readers.